We want to thank everyone who has joined us for our first month as Fort Myers first Kava Bar. After seeing the popularity of kava throughout Florida in areas like St. Petersberg, Tampa and entire East Coast we knew that it was due time that South West Florida had an opportunity to have their very own kava bar. We also knew that for many there would be a learning curve, since Kava is still not a mainstream drink. 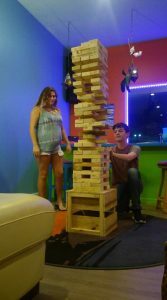 We were excited about being the first in the area to explain the benefits and relaxing effects that kava possesses while offering a fun and relaxing lounge to enjoy it in. We have traveled to many kava bars throughout the state and found some we liked, some we loved and some, well not so much. We wanted to integrate the things we loved, while injecting our own personality into Kapua Kava Bar so that it would be familiar to regular kava bar customers, but also unique. After one full month in business we could not be more thrilled with the overall response that we have received. We have had so many kava lovers come in and tell us that they are so happy to finally have a kava bar they can call their own as well as many who did not know much about kava, but are now huge fans. We have many plans for Kapua Kava Bar and intend to do everything we can to make it a unique destination and alternative to the average Fort Myers scene. There will be all kinds of fun events that will take advantage of the spacious parking lot at night and a continuous evolution of menu offerings. Once again, we want to thank you all for the warm welcome and promise to continue to serve the very best kava and kratom available. This place is fantastic! We love coming in. The staff is friendly and it’s a relaxing yet fun environment. Beats the typical night in Fort Myers. Can’t wait to see them again soon. Next PostNext Cheap Kratom; Is It Worth the Risk? 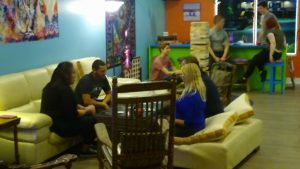 Kapua Kava Bar located in Fort Myers, Florida is Southwest Florida’s first full service kava bar and lounge. At Kapua Kava Bar guests will find kava and kratom teas as well as ethnobotanical elixers made from the worlds highest quality ingredients.